When carers are asked what worries them most, the most common answer is their concern about what would happen if they were suddenly unable to care for their loved one. For this reason, it is important for a care plan to be in place should you be held up by a slight mishap or experience a more serious emergency. The care plan may simply be a contact phone number should your car break down, or your train be delayed. At the same time, the plan should detail what replacement care would be required should you fall ill and be unable to look after your loved one for several days or longer. 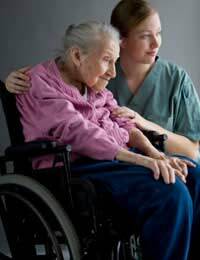 If your caring role is relatively simple and involves dropping in on your friend or relative on a regular basis to check they are healthy and have all they need for their well-being, an informal arrangement for emergency cover may be satisfactory. Should you experience a short term crisis, or become ill for a few days, a friend or relative may be able to take over your responsibilities. It could be useful for your loved one to have several different names and contact numbers in case you are unable to attend to their needs. However, if the care requirements are more complex, a formal emergency plan, lodged with social services and your doctor, should be in place. Most schemes require that you, as the main carer register locally and make a care plan giving details about the person you care for, their needs, medication and who can be called upon to help in a crisis. The plan is held centrally by the Scheme, which offers a 24 hour emergency service. You are given an Emergency Care Card with the requisite telephone number and a PIN number to safeguard personal information. If an emergency arises, you or someone else can call the operator working for the Scheme who can then check on the emergency plan that you have lodged with them and make the necessary care arrangements. If you do not have an emergency plan in place but still experience a crisis, remember that your local social services will have an out of hours telephone number should you need help. However, for your own peace of mind and that of your family, you should make every effort to make an emergency care plan for when things go wrong.